Eighty-one percent of all adults in the U.S. want to write a book, according to bookstats.org, a book industry research website. But only less than ten percent actually start the book project, and only half of that group actually finish and publish their book. “Everyone wants to write a book. People dream of creating a masterpiece,” said Venus Mason Theus, founder and conference host of the Anointed Pen Christian Writers Conference (APCWC), which is being held again at Detroit’s Greater Grace Temple, 23500 West 7 Mile Road. The two-day event will be on Friday evening, September 28 and during the day on Saturday, 29. “Everyone has a book inside of them. As a Christian, I firmly believe it is a responsibility to share positive messages with the world and be a light. There is an alarming disparity in the disproportionate number of faith-based titles that are released today in comparison with the number of secular books. “But we are called to spread the message of hope. And writing inspirational books or at the very least, telling our testimony, is what our mission is all about. We are to be scribes – just like the writers of the Bible were. And, you know, the Bible is the best-selling book of all time – yet Christian authors lag in the book publishing arena today,” said Mason Theus. Driven by a desire to change the state of Christian publishing, Mason Theus launched the Annual Anointed Pen event, which has attracted more than 300 attendees over the four years since its inception. “We have great speakers and workshops to help demystify writing and publishing books by showing people how to plan and execute writing projects for publishing success, said Mason Theus. Added this year is the Literary Thought Leaders and Book Awards Luncheon. There is a call for nominations for the best books in the fiction, nonfiction genres to win an Anointed Pen Book Award. The community can make their nominations for the Anointed Pen Book Awards by going here: http://www.surveymonkey.com/s/XC2856S. The deadline to submit nominations is the end of August. Also new this year, is the Master Class with Essence best-selling author Kendra Norman Bellamy. She has penned titles such as More Than Grace, Because of Grace, A Love So Strong, Thicker Than Water and Crossing Jhordan's River. In addition to writing novels, Norman-Bellamy is also founder and president of KNB Publications and a motivational speaker, traveling the globe to teach her signature 4-part aspiring writers series, "The Writer's Cocoon" as well as workshops on how to succeed as a Christian author. “Those with a desire or who feel God nudging them to publish a book need to come to this event to learn to step out and just write. Our conference is part inspiration, part information and all good. We have planned the APCWC to jump-start or revive your writing projects and become a published author,” said Mason Theus. On August 23, Pam Perry "Message Strategist" shared "How to Brand Like a Superstar Online". 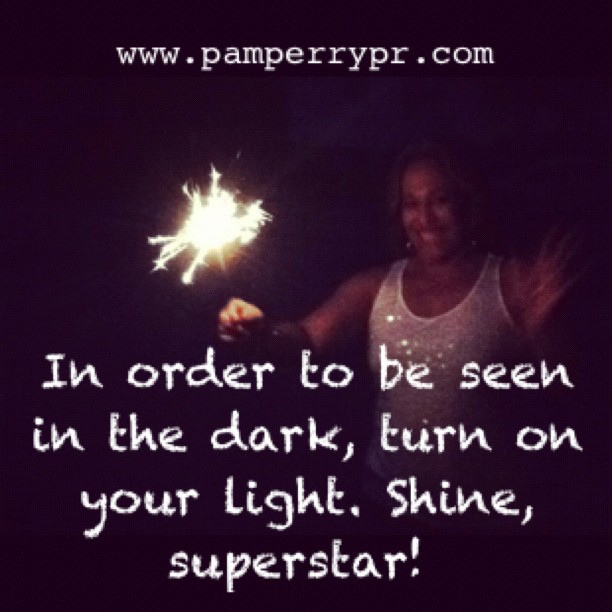 Pam Perry works with emerging and best-selling authors, experts and entrepreneurs. Her special focus includes the African American Christian market (AACM). She is an award-winning social media strategist and speaks, writes and coaches on marketing, branding and public relations in the age of Twitter and Facebook. After the interview, don't forget to share your "ahas" on our Facebook page. Share the life-changing gems and nuggets you've received as a result of participating. Can't make the call live? The replay will be available online for 24 hours after the interview ends. Just use this link to listen. "How to Brand Like a Superstar Online"
"How to Create an Epic Breathtaking Life"
"Without Customers... Ya Got Nothin'!" "Being Genuis in an Average World"
Social Media Marketing, Internet Marketing, yes! Go ye into the world wide web! The Internet is a tool for ministry. The Internet is a mission field. The Internet is an effective way to reach people. Listen to the podcast below on how to market and promote your ministry, your message, your platform. A ministry’s communications efforts should be ongoing – successful online communication requires sustained effort, commitment & consistency over time. Via email marketing and social media, Keep your brand in front of all members & prospects to keep them excited, encouraged, informed and your friend. An e-mail newsletter is a great way to show what your ministry has to offer, demonstrate your expertise, make you look established and professional, and keep your brand top of mind. E-mail marketing can reinforce your other media efforts--or stand on its own--to draw in an audience. Procrastination is a thief that steals precious time. It robs your potential breeds slothfulness of mind. It cheats you out of experience that could lead to great success. It takes away your challenge to pass every test. powerful and great, but could not fulfill the call because they procrastinate. A track record. Most authors think that if they could just be interviewed on a major network when their book is released – they would set them up for major sales. Listen, a new book is not news. A good TV producer is not looking for the “new kid on the block” to present to their viewers, they want to score a guest that has some STAR power. A guest that has some juice; some awards; someone who has a following and people want to watch. So, this means you must start small, start local and then you can progress to regional and national. This takes TIME. A good internet presence. If you think just having a website is enough – think again. Everyone has a website. You must prove to the media that you have an online following and dominate the search engines in regards to your expertise. If you say you are an “expert” – the media’s proof is to see whether you show up on page one of Google when they put in that query about the topic. If you don’t show up at all. NEXT. So you must know SEO, have a blog, some Facebook fans, Twitter followers and so on. A concise, professional media kit. This is the hub of your information. But wait, don’t just throw together a press release, bio and some jpeg photos and call it a day. Think this through. Make this a tool that the make the media go “wow.” Meaning, there is no searching for answers, or searching for photos, or searching for video clips, or searching for current key facts or links. This is a living document that you keep on your website under a tab called “Media Kit” or “Press Kit.” But make it stand out and make sure your contact info is there and you are available 24/7 for the media. So, yes you must put a mobile there or your publicist’s mobile number there. 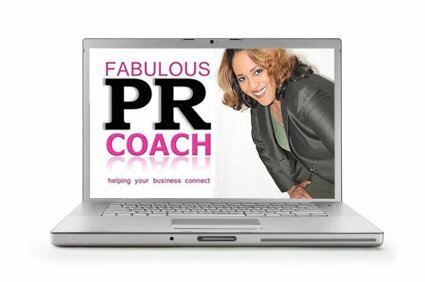 I am a PR Coach & Social Media Strategist delivering amazing ONLINE BRANDING & fabulous MARKETING SOLUTIONS for best-selling authors, nonprofits and seasoned entrepreneurs. My team provides online branding strategy & marketing solutions using social media and internet marketing.